The novel Dawn (Şafak, 1975) by the Turkish novelist Sevgi Soysal portrays the events of a single night in the lives of a small group of characters whose dinner party is interrupted by a police raid for suspected left-wing political activities. The novel takes place in the southern Turkish city of Adana at some point in the early 1970s following a military coup on March 12 of 1971 which sought to restore order in the country after a period of economic instability and political violence. As they wait for their turns to be interrogated, the two protagonists Oya and Mustafa reflect on the recent developments in their lives that led them to the dinner at Mustafa’s uncle’s house that night. Unable to establish a solid case against them, the police are ordered to set them free just before dawn. A simple recounting of the plot, however, belies the complexity of a novel that is able to balance between depicting its characters as individuals, immersed in the minute-to-minute stream of their own emotions and judgements, and at the same time as character ‘types’ who represent the conflict between classes in capitalist society. Soysal reveals the class positions and ideological tensions of her characters not through dramatic depictions of street battles or by their didactic soliloquies, but through their brief moments of emotional vulnerability and confusion. Seemingly minor events in the novel reveal the complex political dimensions to be found within conversations: those between dinner guests, between police officers and suspects, and between husbands and wives. We discover more about the political beliefs of the dinner guests from the way they’re dressed, or by the looks they give, than we do by anything they say. When this dinner party is contrasted with the bridge party attended by the chief of police, we already understand how the conflicting worldviews of workers and revolutionaries will clash with those of industrial capitalists and their allies in the police force when they eventually meet one another in the interrogation room. We learn how Mustafa wavers between his aspirations of being a revolutionary and his petit-bourgeois lifestyle when he and his wife fight over preparing to host dinner guests. Soysal’s narrative technique demonstrates how political debates can emerge as individual dilemmas. This is true as well of her own life story. Soysal was born in 1936 to a Turkish father and a German mother, and grew up in Ankara. She worked in the field of Radio and Television, including for Turkey’s national broadcasting corporation. She began writing in the 1960s, with her first collection of short stories being published in 1962. Two other novels followed, Tante Rosa which centered around events in the life of her aunt, and Walk [Yürümek] which dealt with issues of marriage and the perspectives of women. Following the military coup in 1971, she was imprisoned briefly by the military under the accusation of belonging to a left-wing organization. This would be followed by repeated arrests and imprisonment, as well as a period of exile in Adana. Though Soysal continued to write continuously through this turbulent period, completing four more literary works before her death in 1976, her work would focus almost exclusively on the subject of politics and the fate of the generation of of leftist activists living in the turbulent years between Turkey’s three military coups between 1960 and 1980. Dawn is based partially on Soysal’s own experiences, including her exile in Adana. One of the main characters Oya is a left-wing sympathizer who was briefly imprisoned for publishing sympathetic views towards communism. She finds herself invited by an acquaintance to a dinner party held by Ali, a local worker and supporter of the Turkish Worker’s Party. His two nephews Hüseyin and Mustafa come to the hotel where Oya is in self-imposed house arrest to pick her up. Like Oya, Mustafa also spent time in prison for his political activities and has just been recently released. Both Mustafa and Oya share an ambivalence towards their own identities as both petit-bourgeois and people sympathetic to revolutionary politics. Though ostensibly having gone to prison for her beliefs, we find Oya choosing to spend her exile hidden away in a hotel room rather than reach out to fellow sympathizers while staying in Adana. During her interrogation she defends her honor after having been at a party surrounded by men, but then immediately regrets having defended herself over a bourgeois conception of morality. Mustafa, having succeeded in attending college and becoming a teacher despite his working class background, is called out by a friend he makes in prison for trying to avoid the inevitable ideological limits of his own class. Soysal was not the only author effected by the coup in 1971. Her overtly political themes, as well as her treatment of social class in 1970s Turkey, is indicative of a specific period of novel-writing known in Turkey as the “March 12” generation. Turkish critics have identified a large body of novels that represent a literary reaction to the trauma of the military coup in 1971. These novels share some of the themes of intellectual crisis, political persecution, and the shifting class relationships in Turkey at the time. All of them share a portrayal of the bitter experiences of detainment and torture of left-wing political activists in this period. Rather than focusing on the aspirations and activism of leftists, March 12 novels are an attempt to come to terms with the failure and downfall of their movements. As the Turkish critic Ömer Türkeş says, this is essentially a literature of mourning. For Soysal, this grieving was extremely personal. The importance of creating work that was politically engaged and in line with the aesthetic expectations of the Turkish left in the 1970s was no doubt a pressing concern for Soysal. We can see in her other works as well an engagement with the concerns of the March 12 generation: the psychological effect of torture, the prematurity of revolutionary acts, and the proper role for petit-bourgeois revolutionaries. 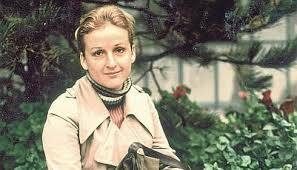 Beyond their themes, her novels took up the debates on the left in the 1970s in Turkey at the formal level as well. The need to give a complete picture of society through the use of characters who acted as class “types”, and to expose this new society in its “naked truth”  led to the adoption of realism as the chosen aesthetic for these works, and what makes themselves so easily distinguishable as the “March 12 novels”. This adoption would be encouraged by leftist intellectual circles who repeated their dogmatic preference for realism as the chosen aesthetic for engaged literature in every issue of their journals and magazines. That Dawn is able to stay faithful to these formal demands while at the same time creating a literary work which portrays its characters as authentically ambiguous personalities, confusedly attempting to deal with a traumatic situation as isolated individuals, is a testament to the novel exclusively as a work of art. And yet, there is also a sense that the use of realism in these novels reflects merely the inability to describe what happened other than simply and directly. This is a realism whose austerity is born of exhaustion and disillusionment. Novels which are raw both in their indictment of the military’s atrocities, and in confronting the naive idealism of those leftists who had once seen in it the potential for a progressive class alliance. A translation of Dawn at this moment in Turkey’s history may help to remind those who spent the 2000s under the spell of a literature exported for an international audience — meant to preach civilizational reconciliation, or to show off Turkey’s ability to craft technically sophisticated fiction in the comfort of its newfound economic and political stability — that a generation has already lived through that moment, now seemingly at hand, when the door is kicked in. The sun in Adana never cools. Nights in autumn are balmy, almost suffocating. A sense of impatience stretches out as far as the plains, letting you know that the rain is approaching. The shining sun and the seasonal rains are for now the only thing readily shared by the city center of Adana, with its villas, heavenly gardens, and its cosy yet luxurious apartments, and by Far-side, the slums on the other side of town. The neighborhoods at the edge of the city have no other signs of plentifulness; no orange or palm trees, none of those beautiful southern flowers, or thick-leafed decorative plants. Just the suffocating air, which spreads out thick over the narrow, crooked streets of the İstiklal neighborhood and right into the houses. The rain is close. Night began in the neighborhood whose only abundance is to be found amongst its busy rooms: in the spoons reaching out in unison into the pot on the floor, in the loaves of bread broken off in large chunks, in the large bites of food flavored with plenty of red radishes, green peppers, parsley and onion, and in the makeshift beds lined out on the floor, in the guard whistles and fights that start in the coffeehouses and end up in the streets. The neighborhood is used to all the fighting, the guard whistles, the straight razors cutting up fallen women’s faces, to nights of passion that begin with a round of rakı in the lover’s home and end with a man’s beating, nights in which the busiest stop is the police station. The locals are even used to the regularly timed raids of police looking for drug stashes and contraband of things like cigarettes. No one is surprised by the flashing blue lamp on the police car as it makes its way forward, scanning its surroundings. The Arab workers, who are tired of seeing the inside of a police station, just close their doors. The car moves forward, house by house. Stealthily, trying to make out a certain address among the identical houses, trying to draw as little attention to itself as is possible in a neighborhood like this. The rickety door to the house suddenly flew open due to an aggressive kick from the outside. Oya, who was perched on the edge of the wooden bedstead, which looked like a divan with its calico pillows and quilt, finally had an explanation for why she had felt so uneasy all night. It was as though there was no one else there, not Hüseyin, nor Mustafa, nor the owner of the house Ali from Maraş, nor any of the others, not even Gülşah, who had just placed the large, round metal tray of food before the guests. As though it was just Oya sitting there, a last minute guest. With the sudden opening of the door, all the doors she hadn’t managed to open for herself all night suddenly closed. Everything around her, the wooden door which opened with a kick, the civil police who flooded inside, the house under siege, the people in that house, all began to spin away from her in circles around the center which she was used to thinking of as “I”. As had often happened in the last few years, reality’s ugly face startled Oya. In truth, reality’s face was neither ugly nor beautiful, she knew you couldn’t describe truth like this. But for someone who was more used to beauty, that is to say for a person who had been taught to have an odd understanding of beauty, even though ugliness and beauty were a whole, she was unable to avoid closing one of her eyes and trying to separate out beauty. Or maybe it was the basic cowardice in her personality, which was unreservedly daring for those things which she found beautiful and chic, and brave because she found bravery to be beautiful, but which displayed absolutely no bravery in the face of ugliness, or to be ugly when the occasion required it, or to confront the face of reality that could be ugly — this cowardice in her personality was what startled her. Even after all the experiences she’d had, this is how Oya would explain the feeling of panic in the unexpected moment when the door suddenly opened. This wasn’t exactly the right time to split hairs about these kinds of things. The house was being raided, just like a lot of other houses in Adana in those days. Oya should have realized, whether she wanted to or not, that she was just one of many people in these houses being raided who felt fear, shock, anger or any one of a number of similar feelings. This force was being brought down on others as well, on others she didn’t even know well. Even if she didn’t properly know the owner of the house, or Hüseyin, or Mustafa, or Ekrem, or Zekeriya, or Gülşah and Ziynet, in that instant they were all experiencing the raid together. Having to resemble each other, to share similar circumstances. The host, Ali from Maraş, was slow to notice that the house was being raided. If he had been quicker, he would have broken off in the middle of the question he posed to his nephew Mustafa: “Well, what will come of this, my boy, huh?”. But, he didn’t and finished his question as if he didn’t see the three civil police officers pacing in the room, glaring at the people in it. Fortunately Ali came to when Hüseyin, out of shock, foolishly attempted to empty his glass of raki back into the bottle. As soon as Ali really saw the police, he stood up. Hüseyin and Mustafa, Ali’s nephews. They were two children who’d escaped the fate of their family line, all workers and day laborers who left Maraş and came to Adana hoping to get their share of some of the abundance to be found in the Çukorova valley. That’s how Hüseyin, now a lawyer, spoke about himself and the teacher Mustafa. Actually, he secretly distinguished Mustafa and himself from the others. If Mustafa hadn’t suddenly landed in Adana, it probably wouldn’t have crossed Hüseyin’s mind to go to his uncle’s house. Because Ali, who had worked for years in the Yüreğir factory and also for a long time in the Aegean Industrial Textile factory, had some unresolved issues related to his retirement pension.. Ali was waiting for his nephew to take care of these issues. Hüseyin was sick of not having a magic wand for all of his relatives who were always asking him questions and waiting for him to find solutions to all of their problems. And he was upset that he hadn’t been able to solve Ali’s problem. Because he was a native of Maraş before everything else, before being someone who was educated, before being a lawyer… and that’s why he still felt obliged to take care of his uncle’s problem. But the task was by no means easy, for Hüseyin had just finished his probationary period and he hadn’t yet gotten the office he’d opened with two of his friends in good running order. The three partners, who were on the lookout for a few cases that would bring in cash, somehow weren’t able to free themselves of those acquaintances and relatives who came to their office to drink tea and coffee. It was Hüseyin’s relatives who came more than anyone else’s. They all wanted to have a word with a lawyer. This meant volunteer work, which was a far cry from the kind of profitable work Hüseyin and his partners had dreamed of. But all these people from Maraş, for whom the bounty of Çukurova’s wide-open plains seemed only to lie in increasing their numbers, expected more from these lawyers than just finding clever ways to get the doors of the prisons in which they sometimes fell to open. Hüseyin also had to see to all the other kinds of drudgery, like having to record new births and marriages, and write various petitions and letters they requested.. They never came alone. They always brought one of their friends or neighbors with them, which always gave them the chance to brag about having a relative who was a lawyer. None of this was new or surprising for Hüseyin. He understood that this was partly the reason, if not the entire reason, why he had been sent to school. He had no intention of breaking this link which had kept him so tightly bound to his relatives since his childhood. There were as many benefits as there were responsibilities related to having this kind of familial network. He’d worked up the courage to practice law in Adana due to this network: his relatives from Maraş, who worked in the various cotton gin factories on the outskirts of town knew lots of people, and the cases they would give to Hüseyin had to do with their problematic relationships with the government, their bosses, their insurance policies, the unions, and with other relationships that brought trouble. They would all bring their cases to their relative Hüseyin. But, these were dreams for the future. Right now Hüseyin and his three partners still couldn’t even cover the office rent. Even the cost of the tea and coffee his relatives drank when they came into the office, muddying the rug that hadn’t even been paid off yet with their muddy galoshes, began to bother him. With all this going on, he hadn’t had the time to tackle the problem with Ali’s pension. As much as Hüseyin, who clung tightly to his connection to his relatives, was sometimes annoyed by them, he felt sheepish for having failed to help out his uncle, the very person who had helped him out so many times. That night as he’d come to dinner at Ali’s house, he’d felt anxious thinking about how he would be able to avoid the issue. But the door was busted open before Ali had the chance to ask Hüseyin about what was bothering him. Uncle Ali was a sharp man. He had taught himself how to read. He was sure to read the daily newspaper and listen to the news every single day. He wasn’t a stranger to the problems between the leftists and the right-wingers either. He was intending to mention the subject to Mustafa, whom he trusted more, when the door flung open. Yet, when Hüseyin saw Ali begin to bite his lips, which he was in the habit of doing every time he was about to ask something serious, he assumed he was going to breach the subject of his pension. Did he empty his glass of rakı back into the bottle out of shock at the house being raided, or because he was so flustered thinking that Ali was going to to ask about his pension? It wasn’t clear. Oya noticed that nothing happened to the rakı in the bottle. For some reason, she noticed this detail even though there was so much happening at once. Hüseyin drank his rakı straight, without adding any water to it, or putting in any ice. He claimed that all the best rakı makers came from the Southwest. “Should rakı be drunk with water? How long do you think refrigerators have existed around here? You think our grandfathers popped ice into their drinks? They didn’t like to water down their words, or their drinks.” That’s what Hüseyin always said. But that evening his stomach was hurting. He had an ulcer on his tongue, dried out like a sick animal. But he’d ignored this, and drunk his rakı without water. When the door was kicked in, he quickly emptied his rakı back into the bottle. That’s why it didn’t cloud up the rakı still in the bottle. At that same instant, Mustafa wanted to grab the bottle of rakı from Hüseyin’s hand, and to hurl it straight at the heads of the ugly-faced policemen barging into the room. It seemed to him like Hüseyin was emptying the rakı back into the bottle just so that he couldn’t throw it at those men’s heads. Our Uncle Ali’s house is being raided, its just like you to mess around pouring out your glass like that. I’ve barely had time to get started and now there’s trouble in the air? Don’t I have a right to be mad? Mustafa was a math teacher. He was just in his first year of teaching in Urfa when he was arrested under the auspices of the martial law in Diyarbakır and sent to Istanbul. His detention in Selimiye lasted exactly fourteen months. Then, just two days ago, the jail term he’d expected to to last for years suddenly came to an end and he was set free by the prosecutor’s office. It was only then that he learned he was going to be released and tried under article 296 of the Turkish penal code. Yet, during the year or so in which he’d been detained, he’d imagined that he could be charged with any crime they desired, even with founding a secret organization which was in violation of the constitution; and in the end it was article 296 that they settled on. Mustafa didn’t know whether to be saddened or to be pleased by this. His release occurred, just as his arrest had, when he least expected it; and he’d been surprised by both. On top of this, when he was set free he didn’t have any money to travel home, nor were those close to him informed . But thanks to his friends in jail, who – as always – perceived his predicament and collected money without him having to ask for it, he was saved from having to spend his first day in Istanbul as a beggar. As soon as he got out, he bought a bus ticket for Adana, and spent the time waiting for the bus pacing around the streets of Istanbul. As he walked, he realized after a while that he was humming the songs that his friends had sung in jail. And he noticed that he was pacing like he used to in those days when he had paced back and forth and hummed marches to himself in order to avoid thinking, to add depth to his pointless circling, to not get stumped by the days which passed identically, by the endless repetition, to jealously guard the rich inner self that was inside a despised and spurned shell. Singing aloud wasn’t permitted. This humming had been a defense, actually. It was a form of armor put on to prevent one’s personality from fraying, just like that of a body washed and powdered every day. But now? Now there were no walls to contain his pacing. He could open up, spread out, and go as far as he pleased. But how? What was it he had tried to protect, to not let be crushed, to keep on its feet during those fourteen months? What made him feel so confused when they told him “Alright, you’re free”? Yes, he had protected himself for fourteen months in order be able to begin again, or so he thought. He was out in the open now. First I have keep cool, he thought to himself. All of his friends had already scattered. He needed to pull himself together, pull himself together and then what? He tried to think, then again numbed his mind by walking and and humming songs to himself. “They turn iron into dust, they sprinkle ash onto blind eyes blind eyes…they corrupt love, the blood flows…” In the middle of the song, he suddenly thought of his wife. He was astonished that he hadn’t thought of her once since getting out. When he was inside he had thought about her so often. What if Güler already knows that I am free? Yes, what if she knows? The question felt awful as it resonated inside him. He didn’t even know at that moment whether or not his wife was in Urfa. They hadn’t been able to write each other for a month. After there had been a revolt in the prison, Mustafa’s ward had been prohibited from exchanging mail or receiving visitors as punishment. They hadn’t been able to send or receive letters or see loved ones. Was this the right time to be set free? But now that he had been set free? He had to be ready to confront anything that would come his way in the outside world, even more ready, more ready. Soysal, Sevgi. Şafak. Ankara: Bilgi Yayınevi, 1975. Print. Türkeş, A. Ömer. “Romanda 12 Mart Suretleri Ve 68 Kuşağı.” Birikim 132 (2000): n. pag. Web. Belge, Murat. Edebiyat Üstüne Yazılar: İnceleme. İstanbul: Yapı Kredi Yayınları, 1994, 141. Moran, Berna. Türk Romanına Eleştirel Bir Bakış. İstanbul: İletişim Yayınları, 1994, 16.